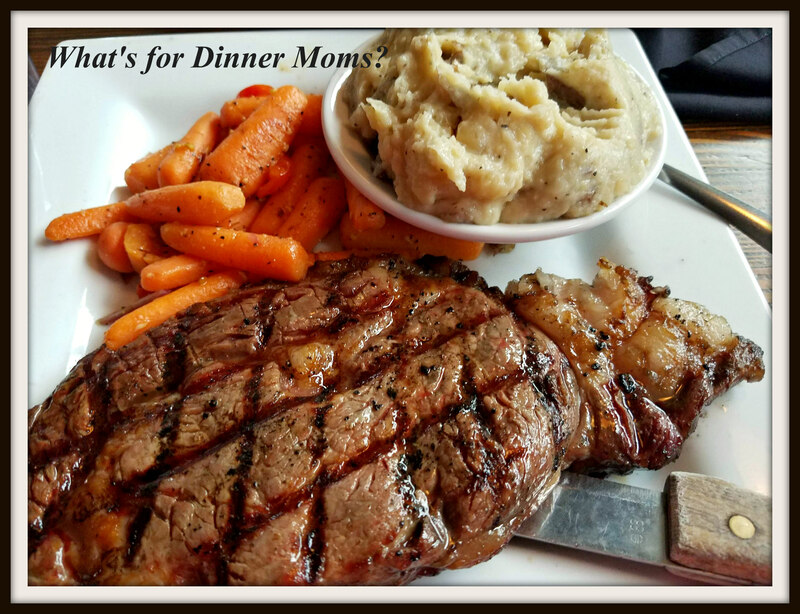 A Relaxing Steak Dinner – What's for Dinner Moms? 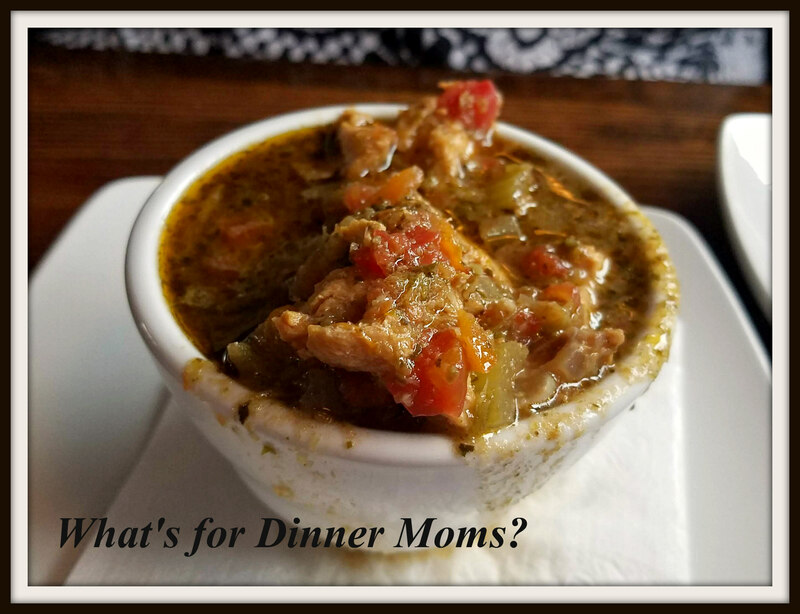 I was getting tired from working all the time and looked forward to dinner each night with my family. My son decided he wanted to stay in the hotel room and rest after touring Niagara University all day. This was his first college tour and interview. He liked the campus and the people on campus quite a bit. At least he has something to start comparing other colleges to now. We decided to head for the Winfield Grill (click for link to website) which was just a couple of miles down the road from where I was working for the week. The parking lot was pretty full but there were plenty of tables in the dining room. The bar seemed to be the place to be. We wanted a quiet spot so were seated in the dining room. My only real complaint with the whole meal was when we entered the restaurant the person was on the phone. She did not bother to look up and acknowledge our presence and even put the person on hold after a minute to go ask someone a question and instead of saying, “I will be right back to seat you, ” walked to the back to ask a question. We were not the only party standing there. It was very awkward. But, the rest of the meal and our waitress were super! 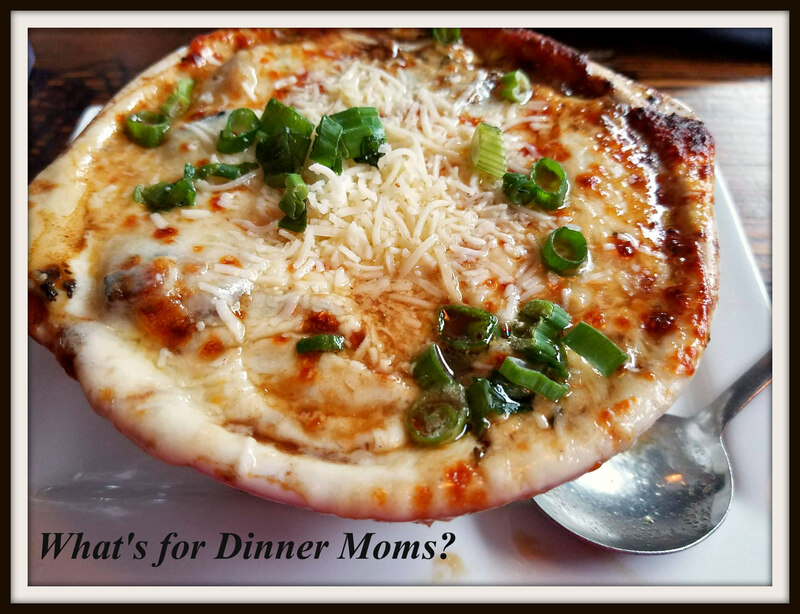 The French onion soup was huge! It was cheesy and flavorful. The only thing I thought was a bit odd was that it had pumpernickel bread in it. It was good but just “different.” By the time I finished this I barely had any room for my entrée it was so big. My wife had the soup of the day which was a version of chicken and wild rice soup. She thought it was delicious and just the right size for before dinner. The warm bread and butter was nice for dipping too! The Delmonico Steak was 16 oz. and cooked with Montreal seasonings, a choice of side with vegetable of the day. I chose the creamy mashed potatoes as my side. I love mashed potatoes! The steak was perfectly cooked although I do think it could have done with a bit more Montreal seasoning. I love the peppery flavor of the seasoning and couldn’t really taste any at all. But, we each had over half our meal left and were delightfully full. We will be making a return here on our next trip to Rochester to try some of the other dishes!